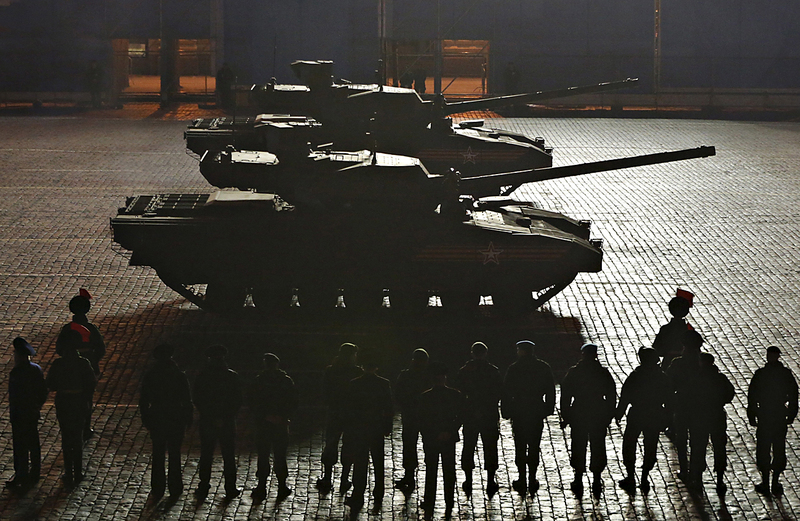 Russian main battle tanks "Armata". Designers at the Russian Research Institute are building an additional set of protective wheeled and tracked vehicles on the Armata platform, which will work against cumulative grenades and anti-tank guided missiles. The wheels and tracks of the latest domestic armoured vehicles set on the Armata platform, including a new tank, will be equipped with additional protection. The Russian Research Institute (NII) is working on designs to develop additional safety features on the vehicles. The developers say "plate shields", similar in appearance to the bars on bunk beds in the barracks will be installed along the perimeter of the machine. These will protect the armoured vehicles from the most used and devastating means of mass destruction: cumulative grenades and anti-tank guided missiles. The new set is intended to deform the head of the grenade coming in contact with the vehicle and absorbing the impact of the explosive energy. The designers point out that lattice screens are inferior to the combat performance of the dynamic armour. "They are cheaper and technically simpler and allow it to increase engine protection and transmission by several times in the conditions of urban warfare. A key drawback is their low versatility. The lattice screen will save the technology only from certain types of hand-held anti-tank grenades," said Dmitry Safonov, the Izvestia military correspondent, to RIR. The Russian Defence Ministry has already tested the lattice screens on the BTR-80. An additional set of armour has been fitted on the perimeter of the body of the armoured vehicle and has been tested to protect against chemical grenades. According to the developers, the test results show that the equipped vehicles maintained their stability and mobility, while the lethal effect of the grenade’s impact was halved.